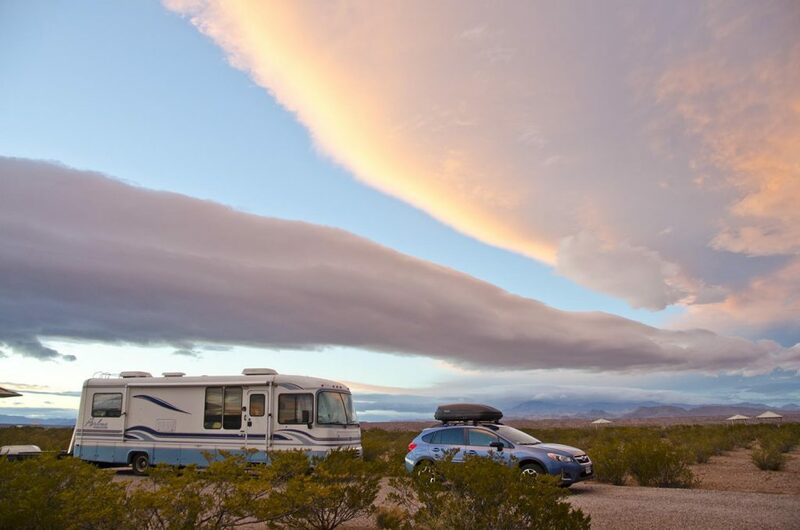 One of the perks of traveling by RV is that we carry our home along with us. 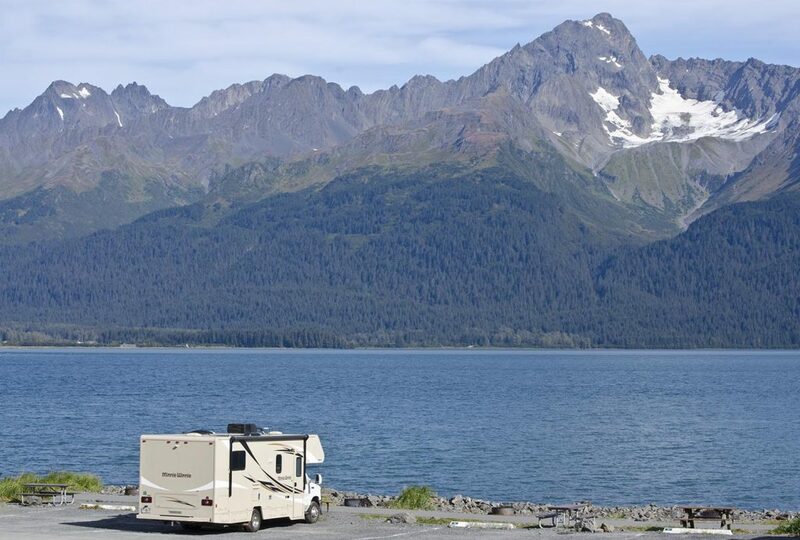 Surrounded by our own creature comforts, camping in a motorhome or travel trailer lets us experience the great outdoors while enjoying home cooked meals and a familiar bed every night. Lodging costs should be low, but paying for a campsite these days can really put a dent in the pocketbook. 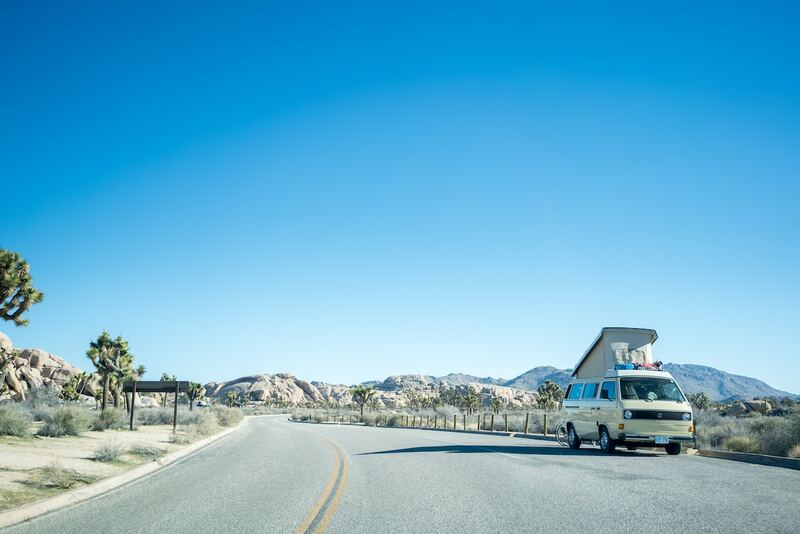 Who knew campground fees would, in some cases, equal or even surpass that of a hotel? One option to booking a more budget-friendly campsite is to stay in a state park, where fees are usually lower. Listed below are some of the best state park passes and camping fees that will take the sting out of sticker shock, while still offering up exceptional outdoor opportunities. Bonus: many states offer a 50 percent discount for military and senior citizens, and some even provide free passes to the disabled and veterans. The state of Connecticut no longer issues passes to their state parks, but charges an entrance fee to non-residents. Residents enter Connecticut state parks free of charge and pay between $14 and $17 per night for camping. Out-of-state residents pay a $22 fee to enter Connecticut state parks, and a camping fee ranging from $24 to $45 per night. However, the entrance fee drops between $6 to $7 after 4 p.m. The state of Florida offers annual state park passes for $60 individual and $120 family. Active duty and honorably discharged veterans get a 50% discount on the pass. Also residents of Florida that are disabled veterans, surviving families of deceased veterans, families of deceased law enforcement officers and firefighters can receive a free annual pass. Even licensed family foster homes and those who adopt children with special needs qualify for a free pass. Non-residents pay $10 to $60 per night for campsite. The state of Hawaii does not charge entrance fees at its state parks. However, the campsites available are mainly tent sites. Residents pay $12 per night. Non-residents pay $18 per night for a campsite. The state of Idaho has annual state park passes available. State residents pay $10 per year and out-of-state visitors pay $40 for the yearly pass. Campsite fees for all range in price from $10 to $31 per night. 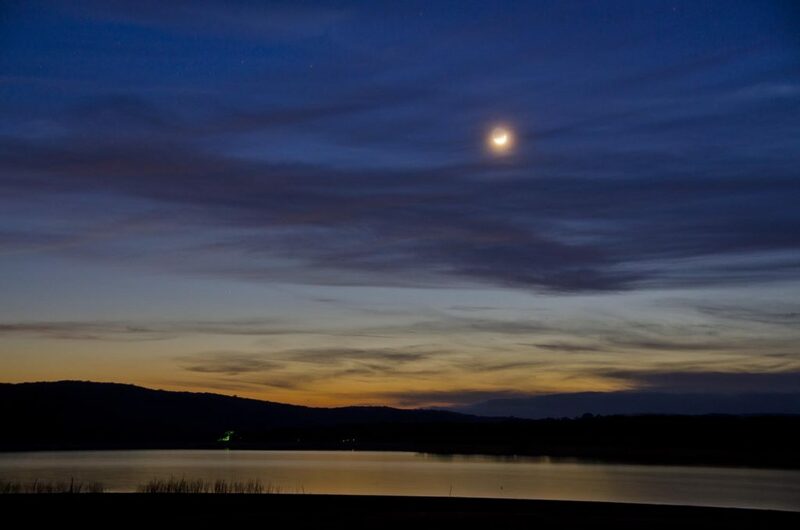 However, those state residents with limited income receive a discount of $4 off the price of a campsite per night. 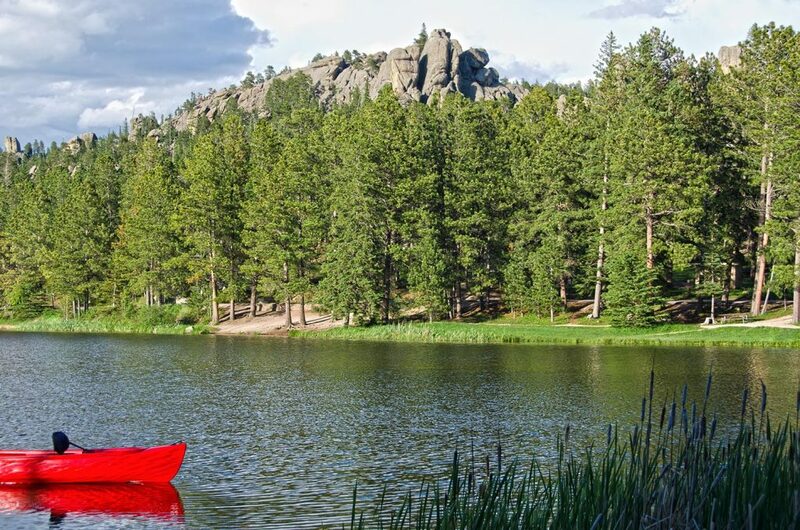 Idaho disabled veterans with a 100 percent disability receive free campsites and day access, and anyone 62 years or older receives 50 percent off camping fees. The state of Illinois does not charge state park entrance fees, so no pass is required. Disabled and senior citizens pay anywhere from $0 to $17.50 per night. All other visitors pay $8 to $35 per night for a campsite. The state of Indiana charges residents $50 for an annual state park pass. Non-residents pay $70. Campsite fees within the state park system are based on high and low traffic times. Sunday through Wednesday fees run from $12 to $30. Thursday through Saturday fees run from $12 to $40, and holiday weekends run from $12 to $44. The state of Iowa does not charge state park entrance fees, so no pass is required. Camping fees are based on off-season and peak season rates. May 1 to September 30 (peak season) campsites run from $9 to $19 per night. October 1 to April 30 (off-season) rates are $6 to $16. The state of Kansas has a unique set-up. They charge $25 for an annual vehicle pass (discount available for Kansas residents who are seniors or disabled $13.75). Campers can then purchase an annual camping pass, if they so choose, ranging in price from $202.50 to $252.50. The annual camping pass does not cover utility fees. Those fees range from $271.50 to $456.50 depending on state park. The state of Kentucky does not offer annual state park passes, but they do offer several camping discounts, including military, senior and AAA discounts. The state of Louisiana offers annual state park passes for $80. Active military and seniors receive a 50 percent discount on day use entry fees, and anyone who currently holds a National Park annual pass (America the Beautiful pass) can receive a 50 percent discount on overnight fees if their home state park system honors the America the Beautiful pass discount for overnight stays. The state of Maryland offers a State Park Pass to residents for $75 and non-residents for $100. The pass allows access to all state parks and gives its users a 10 percent discount on park concessions and boat rentals. Camping fees for all visitors range in price from $21.49 to $27.49. The state of Michigan has an annual state park pass priced at $11 for residents and $30.50 for out-of-state residents. Campsite fees range in price from $15 to $37, depending on site amenities and specific parks. The state of Minnesota has an annual state park pass for all visitors, priced at $35. Campsites range in price from $15 to $37 per night. The state of Missouri does not charge entrance fees to its state parks, so no annual pass is needed. Camping fees are based on peak and off-peak seasons. Peak season prices range from $10 to $56 and off-season prices range from $6 to $48. The state of Montana does not charge state residents an entrance fee, but non-residents can purchase an annual state park pass for $35. Campsite fees are $4 to $32 per night. The state of Nebraska has a state park pass priced at $30 for residents and $45 for out-of-state visitors. All campers pay campsite fees ranging from $12 to $20, and winter with electric sites are available from $14 to $15. The state of Nevada has two options for state park passes. Annual entrance permits are $75 and give you access to all state parks. The better option for campers is an All Access Permit for $200 that allows use of all park amenities, including boondock camping for free. If you wish to hook up, the campsite charge is $10 per night! Campsites under the “Annual Entrance Permit” run from $15 to $30 per night. The state of New Jersey issues State Park Passes to state residents for $50 and non-residents for $75. Residents pay $3 to $20 for campsites. Non-residents pay $5 to $25 for campsites. The state of New Mexico offers an Annual Camping Permit that covers entrance into all state parks, as well as free camping without utilities. For state residents, the annual pass is $180. Disabled state residents and seniors pay $100. Out-of-state passes are $225. The charge to hook up electric and water is $4 per night. If full hookups with sewer are used the daily charge is $8. The state of New York charges $80 for an Empire Pass that allows free entrance into all state parks. The pass is good for entire households. State residents pay between $15 and $36 for campsite fees. Non-residents pay between $18 and $39 for campsite fees. The state of North Carolina offers an Annual Parks Pass for $60 and a Family Pass for $100. Campsite fees go up to $25, but seniors and military receive a $6 discount except on primitive sites. The state of North Dakota charges $35 for an Annual Pass, but seniors and disabled visitors can receive a pass for $28. Campsite fees range in price from $12 to $30 depending on high and low seasons. The state of Ohio does not charge entrance fees to its state parks, so no pass is needed. Campsite fees vary from $17 to $39 per night, and seniors with a Golden Buckeye Pass receive a 50 percent discount on camp fees. The state of Pennsylvania does not charge entrance fees to its state parks, so no pass is needed. Residents pay from $15 to $28 for nightly campsite, based on amenities. Non-residents pay from $20 to $33 a night. The state of South Dakota has an Annual Entrance Pass available for $30. Campsite prices range between $17 and $21. The state of Tennessee does not charge an entrance fee to any of its state parks, so a pass is not required. Campsite fees range in price from $17 to $35. 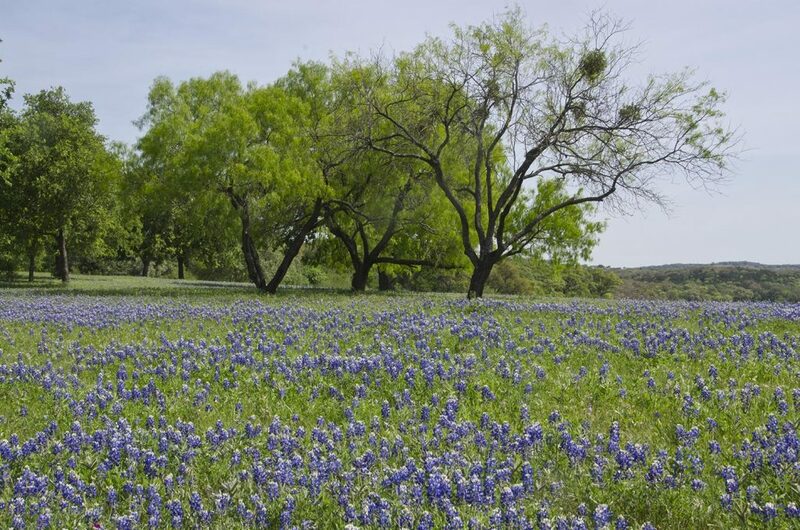 The state of Texas charges $70 for an Annual Park Pass, but offers discounts to state residents who are seniors, have a disability or serve in the military. Campsite fees range from $12 to $20 and with the purchase of the Annual Park Pass, you receive a 50 percent discount on camping fees for the second night of a two-or-more night stay at most parks. Also included is a 10 percent discount on retail and rental items at the park. The state of Utah has Annual Park Passes available for $75, with a Senior Park Pass for $35. Campsite fees vary from $20 to $32, and the Annual Park Pass offers some camping discounts. The state of Wisconsin offers residents an Annual State Park Pass for $28 and non-residents pay $38. Seniors can get a pass for $13. Nightly campsite fees range from $15 to $30. If you find yourself spending a good deal of time in one state or another, an annual state park pass may offer you a great deal. In fact, many states don’t even charge entrance fees to their parks, and their camping fees are still in the low end of your lodging budget. Why not explore your favorite state’s hidden gems while keeping a little more of your hard earned cash in your wallet? Search on Outdoorsy to find fresh ideas on where to camp, what to take with you, and how to make the most of your vacation.